I use a make-up primer from time to time but not too often as my oily-combo skin doesn’t really like silicones. I feel like I grease up underneath them and then my make-up just slides right off my face. 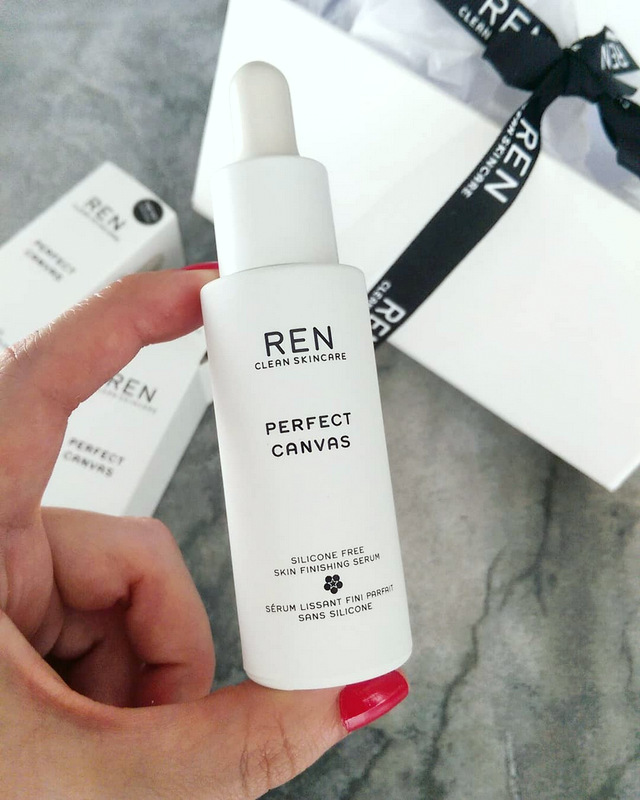 Thus, I was super interested in trying REN Perfect Canvas silicone-free skin finishing serum (R995, Clicks and Woolworths), the brand’s silicone-free primer. An interesting mix of barrier strengthening probiotics and hydrating hyaluronic acid (HA), it relies on sustainably sourced agave extract (yep, that’s the plant they make tequila out of) to act as the ‘primer’. This once snow white, beautiful-looking bottle is now COVERED in foundationy finger prints. Poor thing. So, what’s it like to use? It looks and feels like ever so slightly viscous water and has a strange yet addictive scent that can best be described as heady and sweet. The first time I tried it, I used it on a dry face with no moisturiser, merely to gauge it’s ‘slip’. (My primary reason for using primers is to make my make-up glide on easily.) It ended up creating lots of tide marks and I soon realised it wasn’t a ‘slidy’ primer, but a ‘grippy’ one, a product that gives your make-up something to. I use a lot more than just a few drops as recommended by REN to ever so slightly boost its mild blur factor. Now, having played with it for a while, I’ve settled into a place where like to use it on ‘no foundation’ days. It gives my skin a little extra polish thanks to the ultra gentle blur, I like that I’m getting extra weightles hydration thanks to the HA and then, when I apply concealer under my eyes, it goes on a little bit ‘thicker’ then sits vas. Also, when I apply blush, the colour is ever so slightly more intense and doesn’t start fading by lunch. So ja! Nice one REN. When Perfect Canvas claims to help make your make-up last longer it’s definitely not talking kak. P.S. The only downer regarding REN’s lovely new primer-serum is that it’s not exactly wallet-friendly. If you’re a regular reader you’ll know I always suggest #budgetbabe alternatives when reviewing something pricy but I’ve had a google to find pocket-friendly silicone-free primers and can’t find anything readily available in SA. The best alternative I can suggest (and hear me out please) is NIVEA Men Sensitive post shave balm. 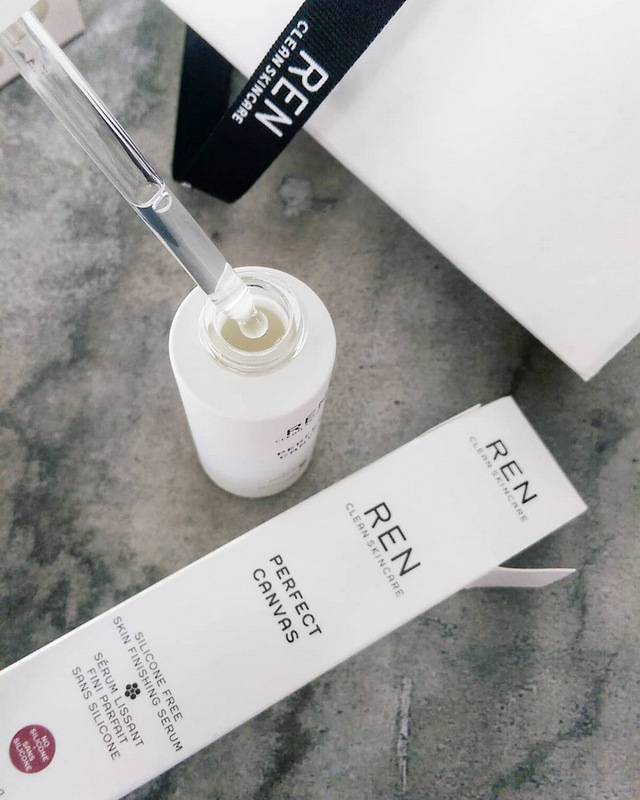 It’s won’t ‘blur’ but, then again, REN’s diffusing properties are so subtle it’s not the main selling point, just a plus point. It will, however, provide hydration and ‘grip’ as it’s primary ingredient is slightly tacky glycerin. I tried it a while back when it became ‘a thing’ and everyone was raving about it’s primer-like ability online. So ja. A super rudimentary solution and not a patch on REN’s option in terms of ‘loveliness’ but hey. The choice is yours! You had me at tequila! No, but really, this is outrageously priced in terms of a primer. But it’s also skincare and a primer in one, so I can understand it from that aspect. I’ve long used the Nivea Aftershave Balm, as it’s helps to calm my sensitive skin and hydrate it, as well as keep my makeup on that little bit longer. Been through two bottles already and find it perfect as an ‘everyday’ primer. I keep my stronger ones for nights out or events!